Oh, you poor, poor people. I hate to leave you hanging, but… no, actually I don’t. I enjoy it. This is probably going to happen a lot. 😛 Hang on tight! Things are about to get crazier. Tony scratched his head, yawning. It was too early to be awake. Natasha was crazy. How could she look so chipper, this early in the morning? And how in the world did she look like she’d just spent an hour doing her hair and make-up, when he knew for a fact that she had no make-up and had just woken up five minutes ago? At least Loki looked just as sleepy as he did. He would’ve laughed at how tangled Loki’s hair was, but he probably looked just as bad, if not worse. “No,” Loki said, frowning. “I have already tried. My magic is not working.” He frowned over at his scepter. His Glow Stick of Destiny, Tony thought with a smile as he remembered the nickname. It certainly wasn’t glowing anymore. Tony figured that was good. Loki shrugged. “I do not know. It has not worked since we got here. 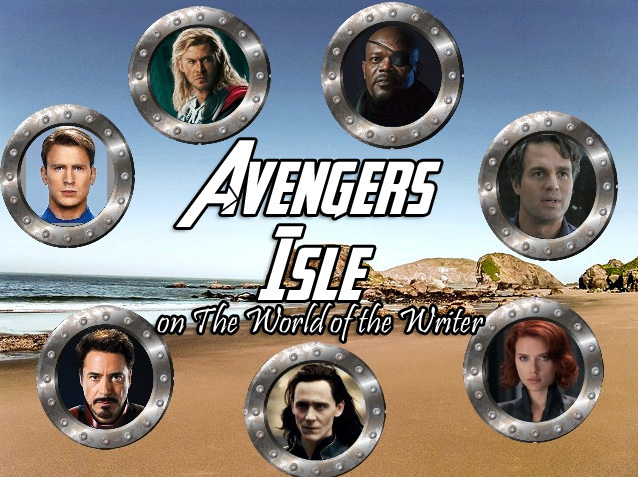 Otherwise I would most certainly be somewhere else.” He gave Tony a glare. Banner frowned. “Where did you get this?” he asked as he opened it. “I like to be prepared,” Fury said as if that explained it. Banner shrugged and dug in. The trail mix tasted good, since he hadn’t eaten much. “Have you seen any wildlife or anything?” Banner asked. He wasn’t too scared, but, honestly, he didn’t exactly want to hulk out on this tiny island. Hopefully there weren’t any. Nothing like island natives with blow darts to stir things up. And bring out the Hulk. I apologize for the short episode, but I honestly didn’t have much time to write this week. Longer post next week!